This is a new and wonderful stretch crepe, a high-tech weave that combines the drape of a 4-ply silk crepe with the stretch and look of a beefy matte jersey. It's actually a woven that I refer to as a woven/knit hybrid. It's a great alternative to its silk or viscose counterparts, which are far more expensive and need to be dry cleaned. This fabric is washable and wrinkle free! It has about 30% stretch widthwise only, and is great for both casual and dressy occasions. Perfect for travel, totally opaque so it needs no lining. It's reversible, with one side more crepey, the other more smooth. In some of the colors, the smooth side is a very slightly darker shade of the color. 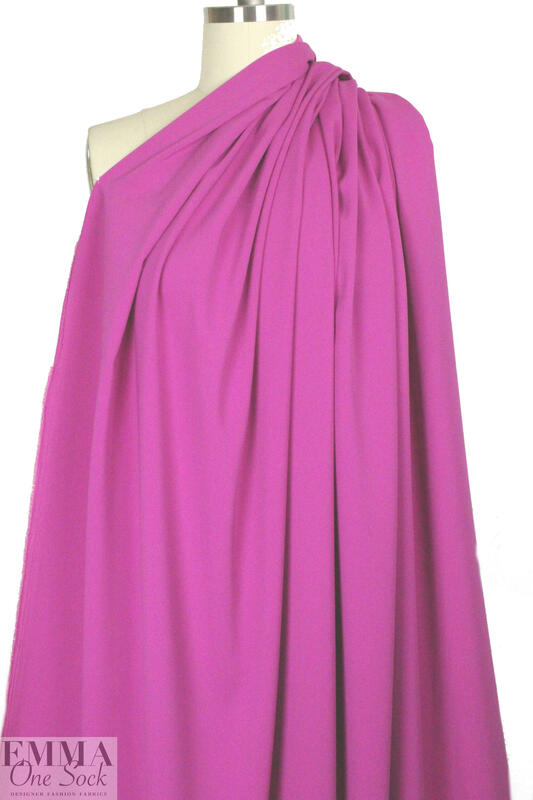 Extremely versatile, make any number of drapey or soft tailored dresses, skirts, pants, tops, jackets, etc. Machine wash gently, cool, hang to dry. 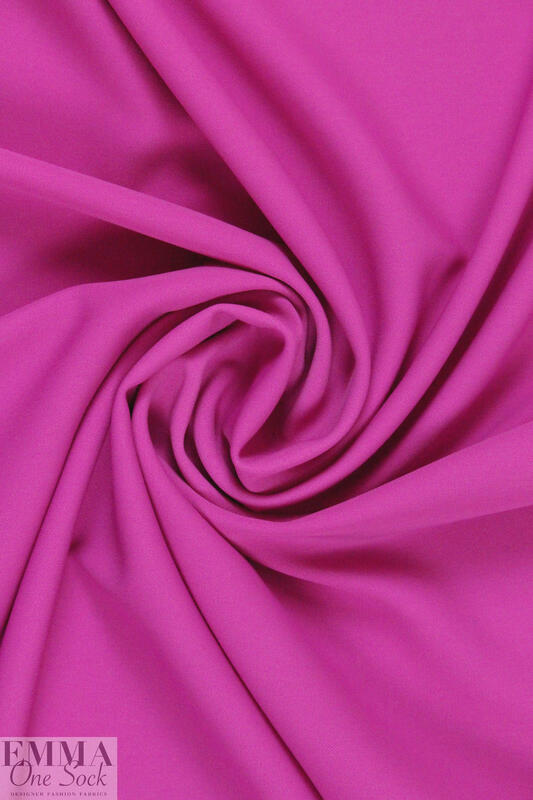 The color of this one is a beautiful hot pink (PANTONE 17-3020).